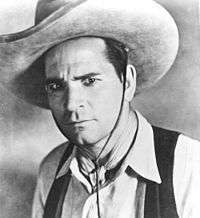 Yakima Canutt (November 29, 1895 – May 24, 1986), also known as Yak Canutt, was an American champion rodeo rider, actor, stuntman and action director. Born Enos Edward Canutt in the Snake River Hills, near Colfax, Washington, he was one of five children of John Lemuel Canutt, a rancher, and Nettie Ellen Stevens. He grew up in eastern Washington on a ranch near Penawawa Creek, founded by his grandfather and operated by his father, who also served a term in the state legislature. His formal education was limited to elementary school in Green Lake, Washington, then a suburb of Seattle. He gained the education for his life's work on the family ranch, where he learned to hunt, trap, shoot, and ride. He broke a wild bronco when he was 11. As a 6-foot-tall (1.8 m) sixteen-year-old, he started bronc riding at the Whitman County Fair in Colfax in 1912, and at 17 he won the title of World's Best Bronco Buster. Canutt started rodeo riding professionally and gained a reputation as a bronc rider, bulldogger and all-around cowboy. It was at the 1914 Pendleton Round-Up, Pendleton, Oregon he got the nickname "Yakima" when a newspaper caption misidentified him. "Yakima Canutt may be the most famous person NOT from Yakima, Washington" says Elizabeth Gibson, author of Yakima, Washington. Winning second place at the 1915 Pendleton Round-Up brought attention from show promoters, who invited him to compete around the country. During the 1916 season, he became interested in divorcee Kitty Wilks, who had won the Lady's Bronc-Riding Championship a couple of times. They married on July 20, 1917, while at a show in Kalispell, Montana; he was 21 and she 23. They divorced about 1922. While bulldogging in Idaho, Canutt's mouth and upper lip were torn by a bull's horn; after stitches, Canutt returned to the competition. It was not until a year later that a plastic surgeon could correct the injury. Canutt won his first world championship at the Olympics of the West in 1917 and won more championships in the next few years. In between rodeos, he broke horses for the French government in World War I. In 1918, he went to Spokane to enlist in the United States Navy and was stationed in Bremerton. In the fall, he was given a 30-day furlough to defend his rodeo title. He was discharged in spring 1919. At the 1919 Calgary Stampede, he competed in the bucking event and met Pete Knight. He traveled to Los Angeles for a rodeo, and decided to winter in Hollywood, where he met screen personalities. It was here that Tom Mix, who had also started in rodeos, invited him to be in two of his pictures. Mix added to his flashy wardrobe by borrowing two of Canutt's two-tone shirts and having his tailor make 40 copies. Canutt got his first taste of stunt work in a fight scene on a serial called Lightning Bryce; he left Hollywood to compete in the 1920 rodeo circuit. The Fort Worth rodeo was nicknamed "Yak's show" after he won the saddle-bronc competition three years in a row from 1921 to 1923. He had won the saddle-bronc competition in Pendleton in 1917, 1919, and 1923 and came second in 1915 and 1929. Canutt won the steer bulldogging in 1920 and 1921, and won the All-Around Police Gazette belt in 1917, 1919, 1920 and 1923. While in Hollywood in 1923 for an awards ceremony, he was offered eight western action pictures for producer Ben Wilson at Burwillow Studios; the first was to be Riding Mad. Canutt had been perfecting tricks such as the Crupper Mount, a leapfrog over the horse's rump into the saddle. Douglas Fairbanks used some in his film The Gaucho. Fairbanks and Canutt became friends and competed regularly at Fairbanks' gym. Canutt took small parts in pictures to get experience. It was in Branded a Bandit (1924) that his nose was broken in a 12-foot fall from a cliff. The picture was delayed several weeks, and when it resumed, Canutt's close shots were from the side. A plastic surgeon reset the nose, which healed, inspiring Canutt to remark that he thought it looked better. When his contract with Wilson expired in 1927, Canutt was making appearances at rodeos across the country. By 1928, the talkies were coming out, and though he had been in 48 silent pictures, Canutt knew his career was in trouble. His voice had been damaged from flu in the Navy. He started taking on bit parts and stunts, and realized more could be done with action in pictures. In 1930, between pictures and rodeoing, Canutt met Minnie Audrea Yeager Rice at a party at her parents' home. She was 12 years his junior. They kept company during the next year while he picked up work on the serials for Mascot Pictures Corporation. They married on November 12, 1931. When rodeo riders invaded Hollywood, they brought a battery of rodeo techniques that Canutt would expand and improve, including horse falls and wagon wrecks, along with the harnesses and cable rigs to make the stunts foolproof and safe. Among the new safety devices was the 'L' stirrup, which allowed a man to fall off a horse without getting hung in the stirrup. Canutt also developed cabling and equipment to cause spectacular wagon crashes, while releasing the team, all on the same spot every time. Safety methods such as these saved film-makers time and money and prevented accidents and injury to performers. One of Yakima's inventions was the 'Running W' stunt, bringing down a horse at the gallop by attaching a wire, anchored to the ground, to its fetlocks and launching the rider forwards spectacularly. This either killed the horse, or rendered it badly shaken and unusable for the rest of the day. The 'Running W' is now banned and has been replaced with the falling-horse technique. It is believed that the last time it was used was on the 1983 Iraqi film al-Mas' Ala Al-Kubra when British actor and friend of Yak Marc Sinden and stuntman Ken Buckle (who had been trained by Yak) performed the stunt three times during a cavalry charge sequence. "The two worked together to create a technique that made on-screen fight scenes more realistic. Wayne and Canutt found if they stood at a certain angle in front of the camera, they could throw a punch at an actor’s face and make it look as if actual contact had been made." In 1932, Canutt's first son Edward Clay was born and nicknamed 'Tap', short for Tapadero, a Spanish word for a stirrup covering. It was in 1932 that Canutt broke his shoulder in four places while trying to transfer from horse to wagon team. Though work was scarce, he got by combining stunting and rodeo work. In 1934, Herbert J. Yates of Consolidated Film Industries combined Monogram, Mascot, Liberty, Majestic, Chesterfield, and Invincible Pictures to form Republic Pictures, and Canutt became Republic's top stuntman. He handled all the action on many pictures, including Gene Autry films; and several series and serials, such as The Lone Ranger and Zorro. For Zorro Rides Again, Canutt did almost all the scenes in which Zorro wore a mask, and he was on the screen as much as the star John Carroll. When the action was indicated in a Republic script, it said "see Yakima Canutt for action sequences." "There will probably never be another stuntman who can compare to Yakima Canutt. He had been a world champion cowboy several times and where horses were concerned he could do it all. He invented all the gadgets that made stunt work easier. One of his clever devices was a step that attached to the saddle so that he had leverage to transfer to another moving object, like a wagon or a train. Another was the “shotgun,” a spring-loaded device used to separate the tongue of a running wagon from the horses, thus cutting the horses loose. It also included a shock cord attached to the wagon bed, which caused wheels to cramp and turn the wagon over on the precise spot that was most advantageous for the camera." In the 1936 film San Francisco, Canutt replaced Clark Gable in a scene in which a wall was to fall on the star. Canutt said: "We had a heavy table situated so that I could dive under it at the last moment. Just as the wall started down, a girl in the scene became hysterical and panicked. I grabbed her, leaped for the table, but didn't quite make it." The girl was unhurt but he broke six ribs. Canutt tried to get into directing; he was growing older and knew his stunting days were numbered. Harry Joe, Canutt's second son, was born in January 1937. Joe and Tap would become important stuntmen, working with their father. In 1938, Republic Pictures started expanding into bigger pictures and budgets. Canutt's mentor and action director for the 1925 Ben-Hur, Breezy Eason was hired as second unit director, and Canutt to coordinate and ramrod the stunts. For Canutt, this meant not only hiring stuntmen and doing some stunts himself, but also laying out the action for the director and writing additional stunts. "In the five years between 1925 and 1930, fifty-five people were killed making movies, and more than ten thousand injured. By the late 1930s, the maverick stuntman willing to do anything for a buck was disappearing. Now under scrutiny, experienced stunt men began to separate themselves from amateurs by building special equipment, rehearsing stunts, and developing new techniques." – from Falling: How Our Greatest Fear Became Our Greatest Thrill by Garrett Soden. 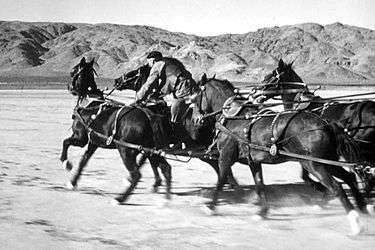 John Ford hired Canutt on John Wayne's recommendation for Stagecoach, where Canutt supervised the river-crossing scene as well as the Indian chase scene, did the stagecoach drop, and doubled for Wayne in the coach stunts. For safety during the stagecoach drop stunt, Canutt devised modified yokes and tongues, to give extra handholds and extra room between the teams. Ford told him that whenever Ford made an action picture and Canutt wasn't working elsewhere, he was on Ford's payroll. Also in 1939, Canutt doubled Clark Gable in the burning of Atlanta in Gone With the Wind; he also appeared as a renegade accosting Scarlett O'Hara (Vivien Leigh) as she crosses a bridge in a carriage driving through a shantytown. In 1940, Canutt sustained serious internal injuries when a horse fell on him while doubling for Clark Gable in Boom Town (1940). Though in discomfort for months after an operation to repair his bifurcated intestines, he continued to work. Republic's Sol Siegel offered him the chance to direct the action sequences of Dark Command, starring Wayne and directed by Raoul Walsh. 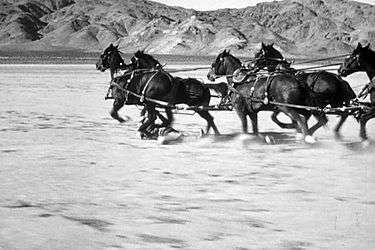 For Dark Command, Canutt fashioned an elaborate cable system to yank back the plummeting coach before it fell on the stuntman and horses; he also created a breakaway harness from which they were released before hitting the water. It was in 1943 while doing a low budget Roy Rogers picture called Idaho that Canutt broke both his legs at the ankles in a fall off a wagon. He recovered to write the stunts and supervise the action for another Wayne film In Old Oklahoma. In the next decade, Canutt became one of the best second unit and action directors. MGM brought Canutt to England in 1952 to direct the action and jousting sequences in Ivanhoe with Robert Taylor. This would set a precedent by filming action abroad instead of on the studio lot, and Canutt introduced many British stuntmen to Hollywood-style stunt training. Ivanhoe was followed by Knights of the Round Table, again with director Richard Thorpe and starring Robert Taylor. Canutt was again brought in for lavish action scenes in King Richard and the Crusaders. Canutt directed the close-action scenes for Stanley Kubrick's Spartacus, spending five days directing retakes that included the slave army rolling its flaming logs into the Romans, and other fight scenes featuring Kirk Douglas, Tony Curtis and John Ireland. For Ben-Hur (1959), Canutt staged the chariot race with nine teams of four horses. He trained Charlton Heston and Stephen Boyd to do their own charioteering. He and his crew spent five months on the race sequence. 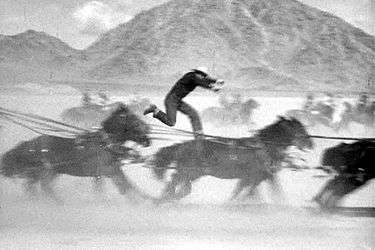 In contrast to the 1925 film, not one horse was hurt, and no humans were seriously injured; though Joe Canutt, while doubling for Charlton Heston, did cut his chin because he did not follow his father's advice to hook himself to the chariot when Judah Ben-Hur's chariot bounced over the wreck of another chariot. Walt Disney brought Canutt in to do second unit work for Westward Ho, the Wagons! in 1956; the first live action Western Disney feature film was followed by Old Yeller the next year, and culminated in 1960's Swiss Family Robinson, which involved transporting many exotic animals to a remote island in the West Indies. Anthony Mann specifically requested Canutt for the second unit for his 1961 El Cid, where Canutt directed sons Joe and Tap doubling for Charlton Heston and Christopher Rhodes in a stunning tournament joust. "Canutt was surely the most active stager of tournaments since the Middle Ages" – from Swordsmen of the Screen. He was determined to make the combat scenes in El Cid the best that had ever been filmed. Mann again requested him for 1964's The Fall of the Roman Empire. Over the next ten years, Canutt would continue to work, bringing his talents to Cat Ballou, Khartoum, Where Eagles Dare and 1970's A Man Called Horse. In 1985, Yakima appeared as himself in "Yak's Best Ride," directed by John Crawford. Yakima Canutt died of natural causes at the age of 90 in North Hollywood, California and is buried there in Valhalla Memorial Park Cemetery. 1 2 3 4 5 6 7 8 9 10 11 12 13 14 15 16 17 Canutt. 1979. ↑ "The Greatest Movie Story Never Told". Esquire. July 2012: 126–133. ↑ "The Film Programme interview". BBC Radio 4. 2011-08-05. Retrieved 2011-08-06. ↑ "Cowboy Stuntman Yakima Canutt". Deborah J. Lightfoot Sizemore. Retrieved 2012-09-05. ↑ Look interview with Wayne 1971. Gale Group eds. (2001). Encyclopedia of world biography supplement, Vol. 21. Detroit: Gale Research. ISBN 0-7876-5283-0. Goldstein, Alan (May 26, 1986). "Yakima Canutt, Rodeo Rider Who Became Film Stunt Man, Dies". Los Angeles Times. Retrieved 2013-09-12.